Back in July we looked at new technology for advertising that uses “Voice to skull technology”, where messages can be broadcast into a person’s head and only that person can hear it. This technology is now being used to play adds for people as they walk by billboards for instance. It has also long been rumored that similar techniques could drive people to commit acts of violence. In this post we’ll examine techniques used to hypnotize an individual, causing them to act without realizing what they are doing – including political assassination. “Project MKUltra is the code name of an illegal U.S. government human research operation experimenting in the behavioral engineering of humans through the CIA’s Scientific Intelligence Division. The program began in the early 1950s, was officially sanctioned in 1953, was reduced in scope in 1964, further curtailed in 1967 and officially halted in 1973. The program engaged in many illegal activities; in particular it used unwitting U.S. and Canadian citizens as its test subjects, which led to controversy regarding its legitimacy. (p74) MKUltra used numerous methodologies to manipulate people’s mental states and alter brain functions, including the surreptitious administration of drugs (especially LSD) and other chemicals, hypnosis, sensory deprivation, isolation, verbal and sexual abuse, as well as various forms of torture. Of course they said the program was officially “discontinued”. Or perhaps they had already achieved their goals. As art mimics reality, lets take a look at two famous movies that feature the mind control of subjects that are being prepared to act as assassins. The first and perhaps most famous is the 1962 screen adaptation of the Richard Condon novel “The Manchurian Candidate”. The plot revolves around an army unit that was captured by the Chinese during the Korean war. “Brainwashing” techniques were used, and one soldier was sent back to the United States with plans to kill a political candidate. Sound familiar? The movie was so frighteningly prescient that it was pulled off distribution after the assassination of President Kennedy. If you haven’t seen the original 1962 version, it’s very instructive as to how such hypno-programming could be pulled off, I highly recommend watching “The Manchurian Candidate”. It’s the only movie I can stand Frank Sinatra in, as he plays the part of a good soldier unraveling a mystery. These type of tests are widely reported in screenings and programming operations of the type. Similar examples are of combat units using violent video games in early training to de-sensitize the individual to combat scenarios, but obviously go much deeper. If there was a second gunman in Sen. Robert F. Kennedy’s assassination, who was it? Lawyers for convicted assassin Sirhan Sirhan claim their client did not fire any of the gunshots that struck the presidential candidate in 1968. And in their latest federal court filing, they also rule out another man some have considered a suspect — a private security guard named Thane Eugene Cesar, who was escorting Kennedy at the time he was shot. Attorneys William Pepper and Laurie Dusek insist someone other than their client, Sirhan, fatally shot Kennedy. They now say the real killer was not Cesar, a part-time uniformed officer long suspected by some conspiracy theorists of playing a sinister role in the senator’s murder. Pepper and Dusek made the claim in papers submitted to a U.S. District Court in Los Angeles late last month. Attempts by CNN to contact Cesar, a relative of his and a former attorney of his were unsuccessful. Prosecutors, attorneys argue: Was there a second gunman? Cesar was walking behind Kennedy and drew his service revolver as Sirhan fired his own handgun in a Los Angeles hotel on June 5, 1968, only moments after the candidate claimed victory in California’s Democratic primary election. The gunfire in the Ambassador Hotel left the senator the most seriously wounded of six shooting victims. Kennedy died the following day while the other five survived. Sirhan was the only person arrested, tried and convicted of murdering the candidate and wounding the others. Now 67, he is serving a life sentence at Pleasant Valley State Prison in Coalinga, California. Pepper and Dusek are trying to win Sirhan immediate freedom or a new trial based on what they call “formidable evidence” of his innocence and “horrendous violations” of his rights. The New York attorneys argue that two guns were fired in the assassination, that Sirhan’s revolver was not the gun that shot Kennedy and that Sirhan was not responsible for his actions at the Ambassador. Instead, the defense lawyers insist conspirators programmed Sirhan through hypnosis to fire shots as a diversion for the real assassin in Kennedy’s murder. At the time of Kennedy’s shooting, Cesar and two hotel captains were escorting the presidential candidate through the Ambassador’s kitchen service pantry. Cesar, working as a special officer for the Ace Guard Service, was carrying his service revolver in a holster. For decades, some have publicly speculated that just such an armed security guard could have been a second shooter — perhaps even the real killer, they have theorized — who fired bullets from behind Kennedy while Sirhan fired his shots from in front as a distraction, wounding bystanders. A few hours after the assassination, Cesar told Los Angeles police he was immediately behind Kennedy, holding the senator’s arm with his left hand, when Sirhan suddenly appeared and began firing. The guard told police he reacted to Sirhan by pulling his own gun from his holster. Cesar has always maintained that he never fired his weapon in the pantry. However, because authorities did not check his gun or perform an examination to determine whether he had just shot a weapon, some people have speculated Cesar could have fired his gun in the pantry. “It is my personal belief, at this time, that the security guard, Cesar, was not the second shooter,” William Pepper said in e-mail to CNN. But Pepper added Cesar still might have been involved in an assassination conspiracy. “He may well have played a role,” he said. “I have information but cannot reveal it at this time,” said Pepper, who insisted that his information requires a new trial for Sirhan or, at minimum, an evidentiary hearing. “We need an evidentiary hearing to deal with the second shooter and his identity,” he added. Cesar has long denied involvement in Robert Kennedy’s assassination and, after years of harassment over the murder, he was believed at one point to have moved outside the United States. Pepper and his co-counsel also allege fraud was committed at Sirhan’s 1969 trial when prosecutors allowed substitute bullets to be admitted as evidence in place of the real bullets removed from Kennedy’s neck and shooting survivor Ira Goldstein’s hip. Opposing Pepper’s and Dusek’s efforts in federal court, California Attorney General Kamala Harris said in recent court papers that the ballistics allegations fall “well short of dismantling the prosecution’s overwhelming case” against Sirhan. In 1968, the 42-year-old Robert Kennedy, younger brother of assassinated President John F. Kennedy, was a contender for the Democratic presidential nomination against then-Vice President Hubert Humphrey and Minnesota Sen. Eugene McCarthy. On the night of his assassination, Kennedy’s supporters were gathered for a rally at the Ambassador Hotel, which was razed a few years ago and replaced by a public high school named for the late senator. Kennedy had just appeared on live nationwide television in the hotel’s Embassy Room ballroom to claim victory over McCarthy in the California primary. Moments later, at a quarter past midnight, he was fatally wounded in the kitchen pantry while heading for a press conference set for a small banquet room just beyond the pantry. Three bullets struck Kennedy’s body while a fourth bullet passed harmlessly through the shoulder of his suit coat. The assassination itself was not captured by any cameras — only its bloody aftermath was caught on film — but the sounds of the shooting were preserved on the audiotape of a single cassette recorder being carried by freelance newspaper reporter Stanislaw Pruszynski, who did not know his microphone was still on. ABC News television videotape of the ballroom where Kennedy had just claimed victory in the primary shows Pruszynski holding his recording equipment in his left hand while descending a small set of ballroom steps, approximately 40 feet away from the kitchen pantry shooting, and moving toward a corridor accessing the pantry — all of that during the five to six seconds when the shots were being fired in the pantry, off camera. The Pruszynski recording — uncovered by a CNN International senior writer in 2004 and highlighted on CNN’s “BackStory” in 2009 — is now at the heart of the second-gun evidence in Sirhan’s court effort. Sirhan’s lawyers say the audiotape reveals that a second gun fired at least five shots in addition to the eight shots fired by their client. Pepper and Dusek base this on an analysis of the recording by audio expert Philip Van Praag, who has concluded that the sounds of at least 13 shots can be counted on the tape, even though there were only eight bullets in Sirhan’s one and only gun, which he had no opportunity to reload. All of that means that a second gun had to be involved, according to Van Praag’s analysis. “Sirhan was set up to be the distracting actor, whilst the shooter bent down close behind Bob (Kennedy) and fired close and upward, with four bullets hitting the senator’s body or passing through his clothing,” Pepper told CNN. In her court papers filed early last month, California’s attorney general conceded that Sirhan’s lawyers may be able to show two guns were involved in Kennedy’s assassination. Pepper and Dusek say Van Praag’s conclusions are not speculation, but are “based on solid scientific evidence,” and Pepper says Harris’ recent court filing has now raised public recognition of the second-gunman scenario that he and Dusek are advancing. “What is of interest is that there now seems to be more recognition of the fact that there was a second shooter, well positioned to put three bullets into the senator from close powder-burn range behind him, whilst Sirhan was always some distance in front of him,” Pepper told CNN. The Van Praag audio analysis concludes that the Pruszynski recording is authentic and that all 13 sounds are gunshots — not a single one of them a bursting balloon or any other non-shot noise, shot ricochet or echo. It also finds that some of the shots were fired too rapidly, at intervals too close together for all the shots to have come from Sirhan’s inexpensive handgun, and that the five shots which Van Praag says were fired opposite the direction of Sirhan’s eight shots — those five being the 3rd, 5th, 8th, 10th and 12th shots in the sequence — displayed an acoustical “frequency anomaly” indicating the alleged second gun’s make and model were different from Sirhan’s weapon. Did other recordings capture gunshots? Until recent years, some researchers thought that other recordings might have captured the sounds of the kitchen pantry gunshots. However, Van Praag has concluded that audiotapes made at the Ambassador by radio reporters Andrew West and Jeff Brent did not record any of the shots. He also says he found no gunshots in sound tracks from any of the other known films or videotapes recorded that night. Pepper and Dusek insist none of Sirhan’s eight shots hit Kennedy. Instead, they argue, the senator was struck in the body by three of at least five shots, which they believe were secretly fired by a second gunman who was positioned in back of the candidate. The New York attorneys say witnesses — even including some of the original prosecution witnesses — reported Sirhan was standing several feet in front of Kennedy and firing almost horizontally, even though the medical evidence showed Kennedy’s body and clothing were struck by four bullets fired at upward angles point-blank from behind the senator. Pepper and Dusek say witnesses reported bystanders grabbed Sirhan immediately after he fired his first two shots and that they had his firing arm pinned against a steam table, forcing Sirhan to fire his gun’s remaining six bullets away from Kennedy, thus striking other people instead. The defense lawyers argue that over the years, private researchers have found physical evidence of more than eight bullets fired in the Kennedy shooting but that authorities did not report extra bullets removed from the crime scene or bullet-riddled hotel wood panels and ceiling tiles — and instead secretly disposed of the alleged items. For decades after the 1968 assassination, Sirhan claimed he could not remember the Kennedy shooting. Pepper and Dusek argue this was because he was “hypno-programmed” by conspirators to fire his gun in the pantry and to then forget the shooting, his programming and those who programmed him. They say that for many years Sirhan himself believed he shot Kennedy because people told him he did. In 2008, Pepper and Dusek hired a Harvard University memory expert who says he got the imprisoned Sirhan to recall the Kennedy shooting for the first time. Brown interviewed Sirhan for 60 hours over a three-year period. According to Pepper and Dusek, Brown says Sirhan now remembers that when he fired his shots in the pantry he believed he was at a gun range and shooting at circular targets. Sirhan’s lawyers say Brown believes Sirhan was programmed to do this so as to cause a distraction in the pantry, allowing a second gunman to secretly shoot Kennedy from behind. They say Brown believes a mysterious young woman in a polka dot dress lured Sirhan into the pantry as part of the alleged mind control plot. According to the defense attorneys, Brown says Sirhan now remembers hearing loud sounds he describes as “the thunderclap of other bullets” being fired by another gun in the pantry. They say Brown says Sirhan also recalls seeing at least one flash in front of him that he associates with gunfire inside the pantry but not coming from his own weapon. Pepper and Dusek responded to Harris late last month by arguing that people actually can be hypno-programmed to do things against their morals yet, in the case of Sirhan, he was not programmed to shoot Kennedy but only to fire at what he imagined were range targets, so as to create a diversion for a second shooter to secretly kill Kennedy. At Sirhan’s 1969 trial, prosecutors argued the defendant, a Christian Palestinian, killed Kennedy because of statements the New York senator had made about the United States sending fighter jets to aid Israel. However, in their series of court filings since October 2010, Sirhan’s attorneys, Pepper and Dusek, have dismissed that allegation as a “most speculative motive” without any sworn statements for substantiation. 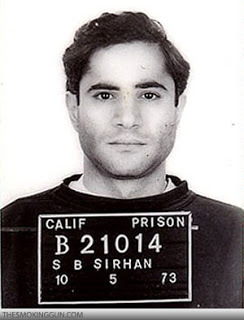 Sirhan was initially sentenced to death after his conviction, but three years later his sentence was commuted by California courts to life in prison. He will turn 68 on March 19. According to his lawyers, Sirhan never became a U.S. citizen, so if he were released from prison, he would be deemed an illegal immigrant and likely would be deported to Jordan, where he has extended family. Pepper says he personally knew Robert Kennedy and his family, and even ran his election campaign in the heavily Republican Westchester County in New York when Kennedy, a Democrat, successfully ran for the U.S. Senate in 1964. In 1999, Pepper represented the Rev. Dr. Martin Luther King’s family in a wrongful death lawsuit concerning King’s April 4, 1968, murder and successfully persuaded a Memphis, Tennessee, jury to find a Memphis man, Loyd Jowers, responsible as an accomplice in the King assassination. As for the current effort on behalf of Sirhan that Pepper and co-counsel Dusek are making in federal court, California’s attorney general insists there is “overwhelming evidence” against the defense attorneys’ claims. CNN’s Michael Martinez reported from Los Angeles and Brad Johnson from Atlanta. We’re talking about programming techniques that were used fifty years ago. Just think how far the technology has progressed to date. This entry was posted on December 1, 2013 at 8:52 pm and is filed under Hidden History, Tell the truth and run !. You can follow any responses to this entry through the RSS 2.0 feed. Scary stuff. Of course the assassinations are outrages, but the thought of billions of people everywhere bombarded by advertisement waves by just walking down the street is nothing short of criminal as well. Super-numb zombies with the echoes of commercials in our brains 24-7. Gotta get back to the woods. Mel Ayton, Gerald Posner, John McAdams, Dan Moldea. There’s a whole network of people who will tell you anything to protect the government’s role in the assassinations of the 1960s. In my book “A Lie Too Big to Fail: The Real History of the Assassination of Robert F. Kennedy” (which is available for presale now at Barnes and Noble and Amazon – search my name), I have a big chapter that explores mind control through hypnosis, the CIA’s experts and their information and deliberate misinformation on this point, and the applicability to the Sirhan case. But you can hypnotize someone to believe they are doing one thing (say shooting at targets) when they are actually shooting a person. Or in this case possibly acting as a decoy for other shooters. Absolutely true. I’ve actually seen someone under the influence of a hypnotic hallucination. Scary as hell. I talk about that in my book.